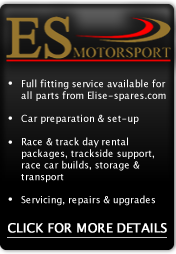 ES Motosport Toe Link Kit. Designed to the highest standard to withstand the stress of race t..
Rear subframe brace and toe link kit to suit all Toyota 4 cylinder engined cars (non tapered Hubs..
ES Motosport Rear Subframe Brace Bar. Designed to the highest standard to withstand the stres..
Rear subframe brace kit to suit all Toyota 4 cylinder engined cars. This easy to fit kit incr..
ES Motosport Rear Tow Link Inner Sperical Rose Joint. Designed to the highest standard to wit..